By acquiring the blockchain startup Stellar, the massive IT company is able to more easily process payments across international borders. The new applications will help SMBs run marketing campaigns, manage social media, and generate invoices, included with Microsoft 365 Business and Office 365 Business Premium. The new functionality to the NinjaRMM management platform will allow for patches of over 100 third-party applications used by SMBs. Who Does What in the Industrial Internet of Things (IIoT)? Industrial Internet of Things (IIoT) is a subset of IoT that focuses on the manufacturing industry. We list out the major and some minor players in the IIoT space. D&H offered Mid Atlantic Show attendees an expanded lineup of instructional content on emerging and underappreciated revenue opportunities. The global IT company has made a number of acquisitions in 2017, ranging from several hundred million dollar purchases to upwards of $1.5 billion. These acquisitions lay out a plan for Cisco moving forward. When it comes to implementing a storage and backup plan, the process is as important as the technology behind it. 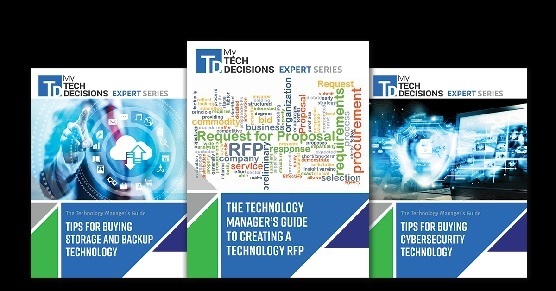 Learn how to write a storage and backup RFP, create a disaster recovery plan, and more. The Google-based itopia platform for workspaces will be able to import client and user data from ConnectWise Manage, and export ticket and billing information as well. The new detachable workstation from HP targets users who work with large files and would prefer to carry one device rather than a laptop and tablet. The new Power over Ethernet (PoE) detector from Platinum Tools can differentiate between end-span PoE power and mid-span voltage.